Granola is one of those foods that is typically labeled as a "health food". 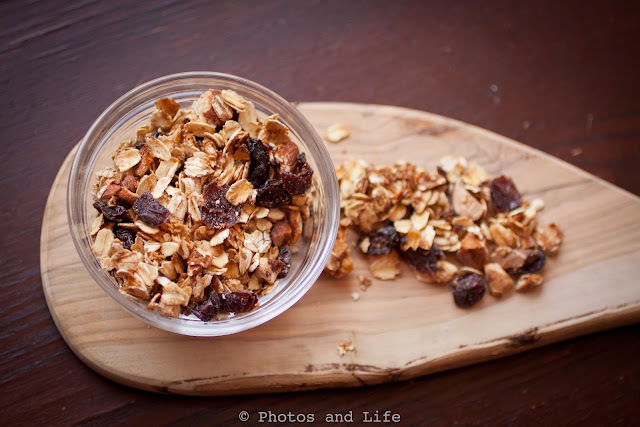 Rolled oats with nuts and berries, what could be so bad about granola? 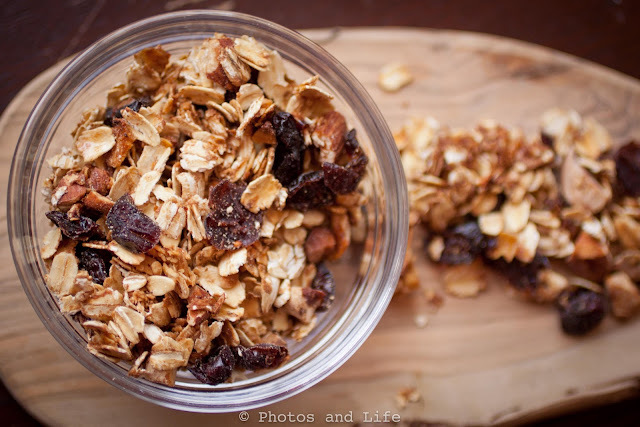 Granola packs a big punch in a small serving size. American's also typically "over-pour" in the morning, and a "healthy" breakfast can total 600+ calories and still leave you hungry. 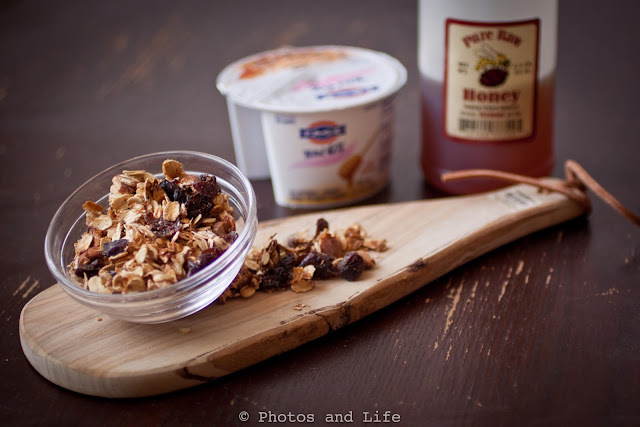 I am always shocked to see how many calories (and how much sugar) can be packed packed into the store bought granola. I am also continually shocked at the price you pay for "organic" granola, especially given how easy it is to make. So, I decided to try my hand at making a healthier and super delicious version (5 ingredients). This recipe is SOOOO good and one that must be a staple in your pantry weekly (it has become a pantry staple in our home). My favorite way to enjoy this healthy treat is with Fage 0% Greek Yoghurt (and fresh berries when they are in season). RUN (don't walk) to the store to get all these ingredients to make this dish, you will NOT be disappointed! This is also a great treat to bring as a hostess gift or even a christmas treat to a friends, family or co-workers! Bake in the oven for 15 to 20 minutes until golden brown (if you have a thick layer of granola, I recommend stirring everything aprox 10 minutes into the cooking). P.S: do you like the new photo size? I am working on my styling and photography (I am much more comfortable with people...who knew) and will share more on that as I go!